What!? Yes, I said it! Stop counting calories and start enjoying what you eat. Sounds great doesn’t it? One of the questions I’m always being asked is the calorie count on my recipes on this website, and in our 30 Day Clean Eating Challenge. We don’t count calories because when you’re eating real, whole foods with the proper amounts of micro and macronutrients, your body learns how to say “stop I’m satisfied” on its own. Part of the beauty of Clean Eating is that it is a long-term, sustainable lifestyle, NOT a diet. If you’re stressing about calories every day you can easily become distracted from truly feeling the progress you’re making. 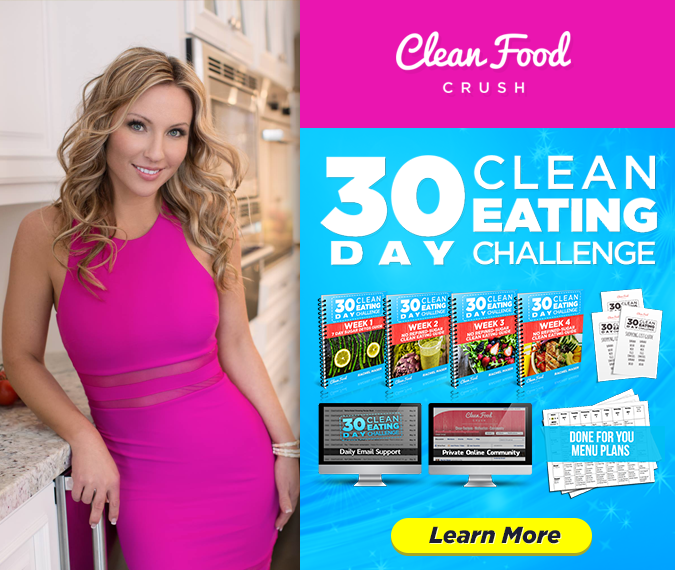 I created the 30 Day Clean Eating Challenge to take the guess work out of forming a new lifestyle for busy moms like myself. I went through a transformation of my own and realized there were a lot of mistakes and errors a long the way, so that’s when the challenge was born. Whether you decide you want to join me on this journey and follow the plan I’ve created with my team, or you want to create your own – making a plan is a MUST when it comes to transitioning to a Clean Eating lifestyle with ease. 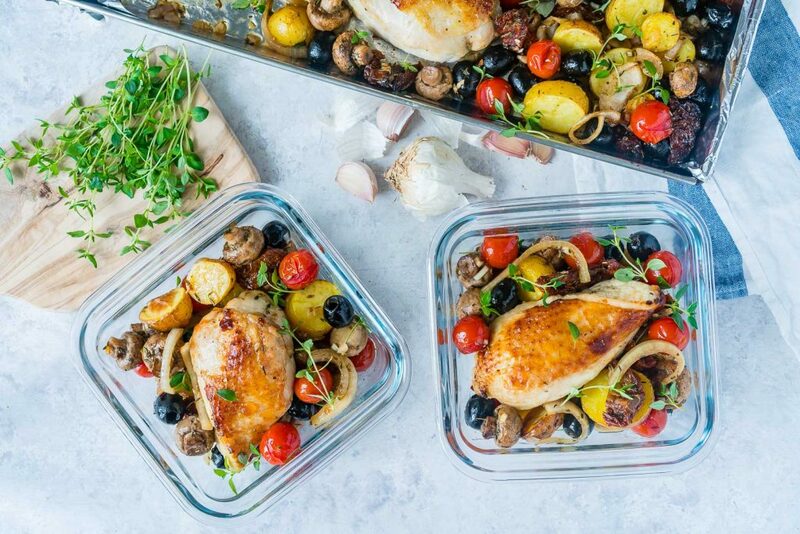 Creating a weekly meal plan, doing your meal-prep (try this One Sheet Pan Tuscan Chicken), having fresh clean water with you, and having clean snacks readily accessible are all ways for you to be prepared. Hydrate yourself to prevent unwanted food cravings for sugar and salt. Sometimes your body just needs water! If you’re dehydrated, your brain may send you a “hunger signal” when really you’re just thirsty. Drinking more water will help your body naturally flush out toxins, cleanse your body, and give your skin a brighter, softer glow. 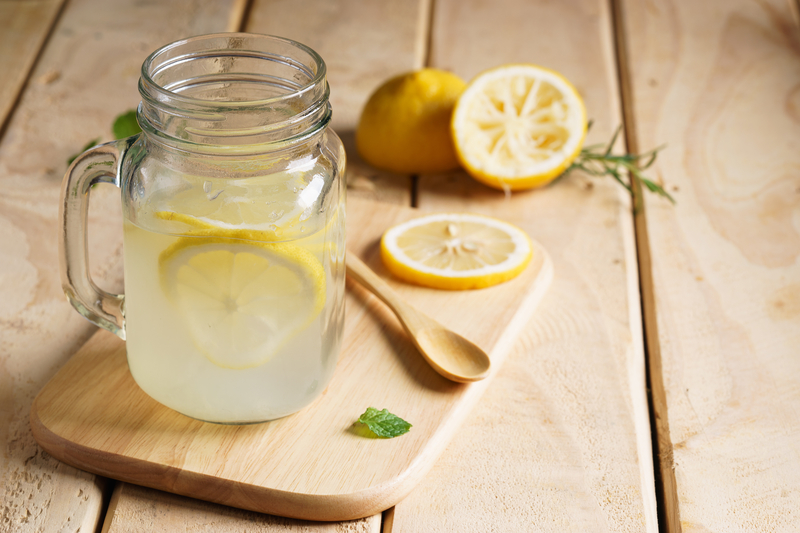 Here are 22 more reasons to drink lemon water daily! Can you still indulge when you’ve dedicated yourself to Clean Eating? YES!! Food should be nourishing and taste amazing, so enjoy it! There are so many ways to improve the quality of the foods you eat while still having a chance to eat foods like pancakes or pizza. 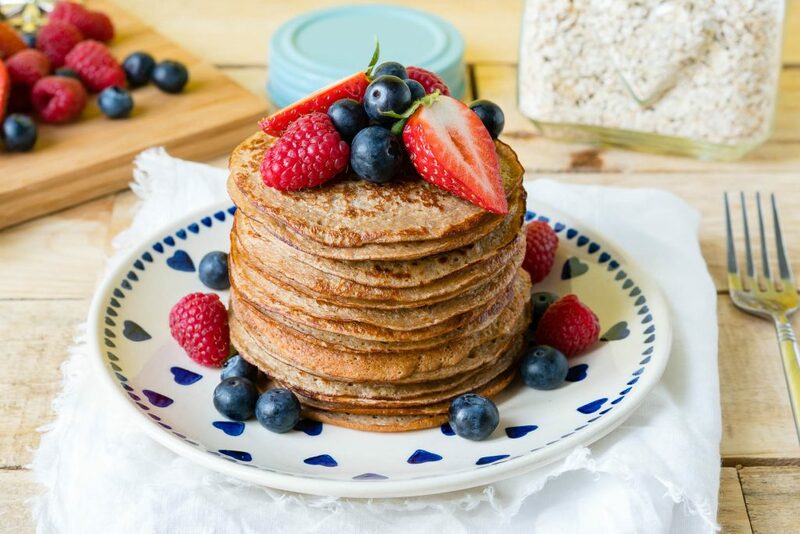 Try these Yummy Oatmeal Protein Pancakes out! 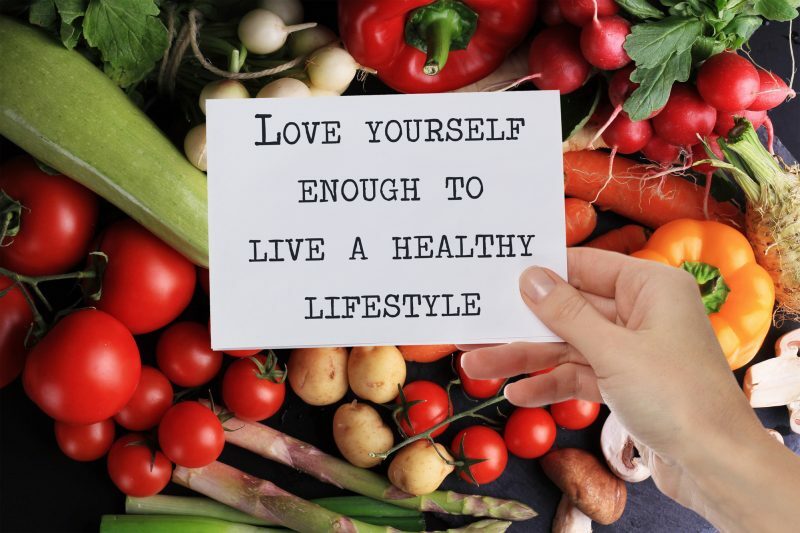 If you’re eating clean because you want to lose weight, then loving what you eat is probably the MOST important factor. Why? Because if you aren’t loving the food you eat, the temptation to go back to your old habits is way too easy. But when all the food you’re eating is healthy AND tastes great? You’re set! We all have to start somewhere. I hope you won’t spend time beating yourself up over the choices you made in the past. 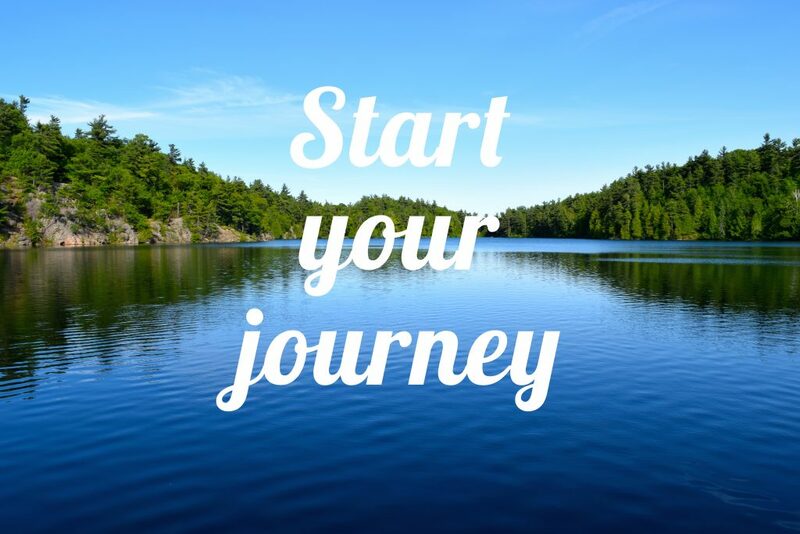 Trust me, I’ve been where you are, and I know how hard it can be to make healthy choices for you and your family. There’s a ton of misinformation on nutrition out there and stress can take its toll. 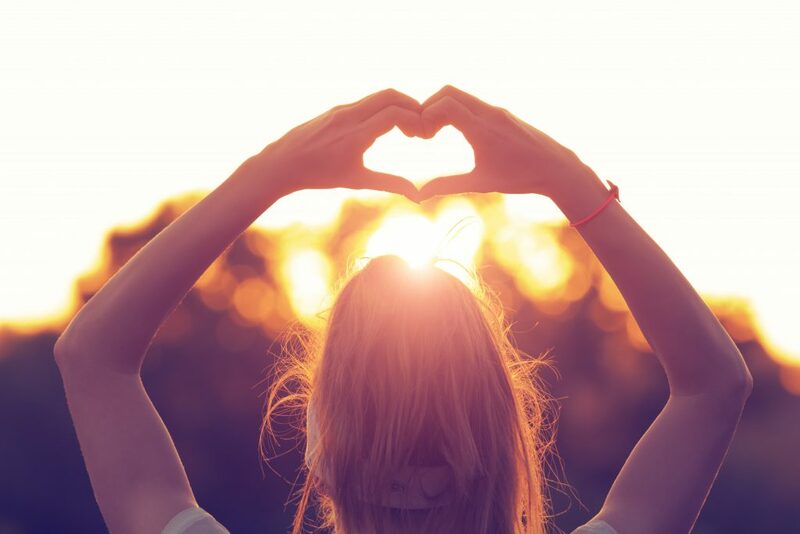 Forgive yourself for any past mistakes and give yourself the gift of a fresh start. It’s never too late to change your lifestyle and feel better. At the start of a Clean Eating journey, you might want your spouse or your family to join you. 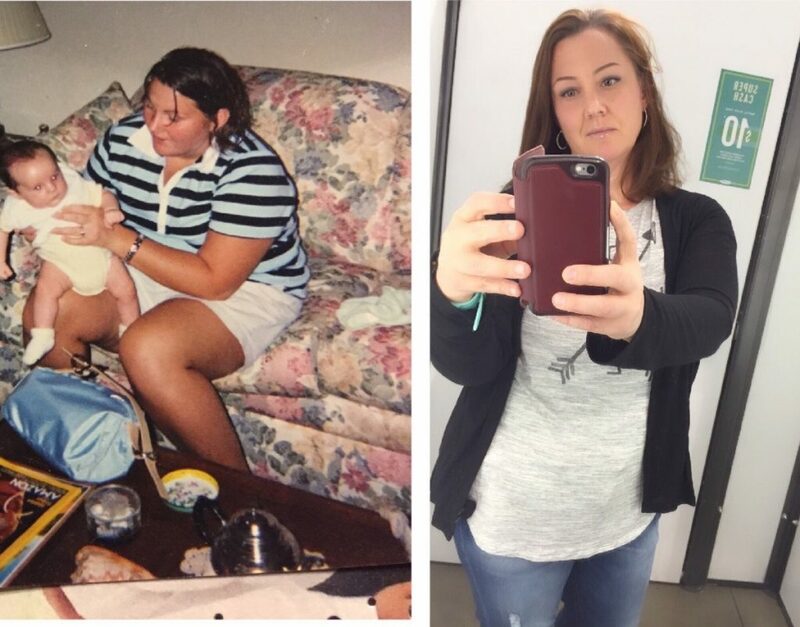 And sometimes, you’ll have an experience like Billie Jo (pictured above) did where even her son took the Clean Eating Challenge with her and they both lost weight! But sometimes, others just aren’t ready, and that’s ok. Don’t let the indecision of those around you stop you from achieving your own personal goals. Do this for YOU and trust that in time, the others may come around. But ultimately, if we spend our whole lives waiting for other people to make the choice for us, we might not ever reach our goals. You deserve to feel better, and there’s nothing more powerful than leading by example! Rome wasn’t built in a day, you didn’t get here overnight, and your transformation won’t happen overnight either! Rest easy knowing that we ALL have to be patient and remember it’s a journey. At first, you might notice small subtle changes. And overtime, clothes start fitting better, energy levels go up, cravings disappear, and new habits are formed. That’s what Clean Eating is all about! Creating long-lasting change so when you lose weight and transform your life, you can stay there without fighting a battle. Here’s how Karla lost 30 pounds and reclaimed her energy eating clean. With commitment and consistency, you will get the results you want! Having support is paramount to your success. 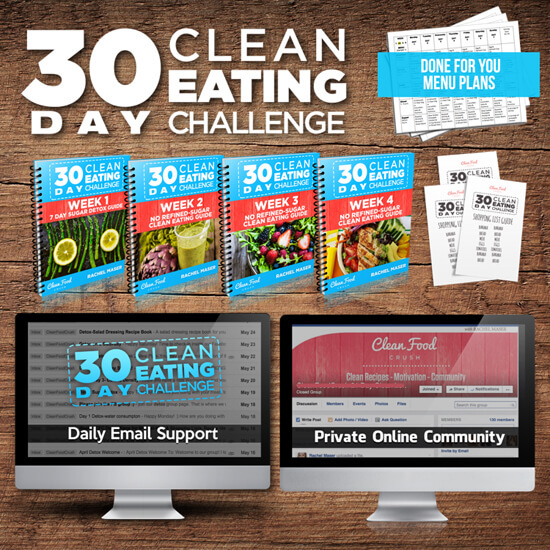 Whether you find that support from your friends or family, or within the private 30 Day Clean Eating Challenge group – you deserve to be supported throughout this process. Going it alone can feel isolating, so find people who can share the journey with you even if it’s just swapping recipe photos or doing check-ins. Clean Eating isn’t meant to be a chore – it can be a lot of fun! 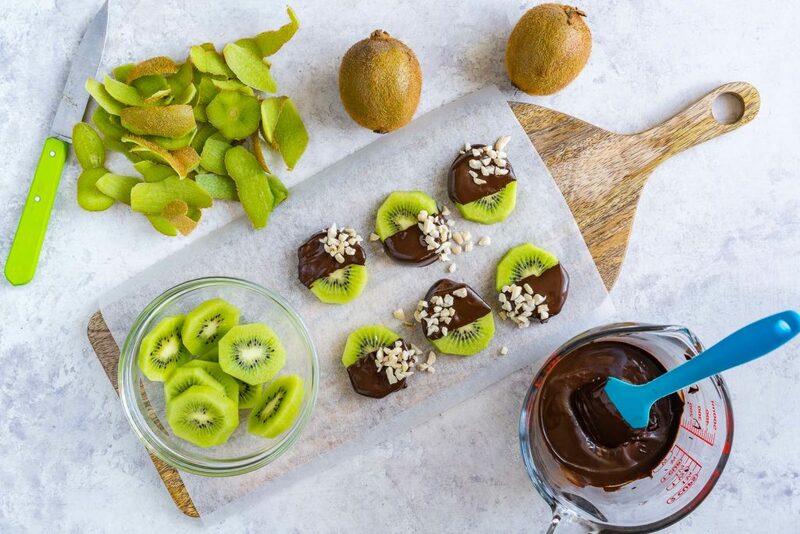 If you’ve got kiddos at home, you can get creative with recipes like these chocolate dipped kiwi slices 🙂 Approach this new lifestyle with curiosity and make it an adventure in learning what your likes and dislikes are. You don’t have to love every food to be good at Clean Eating, you’re unique and so are your taste buds. Play around with new recipes and have dinner parties with friends where you can all try something new together. 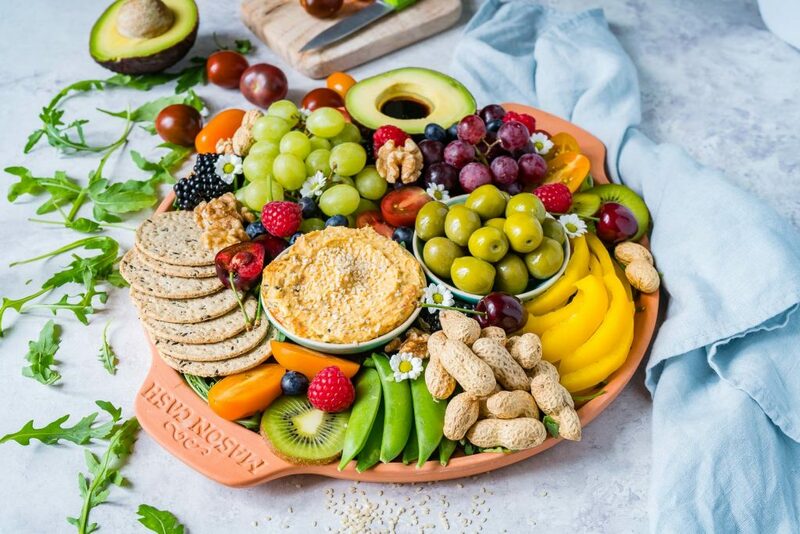 One of my favorite things to do is create platters like this summertime platter that’s great for entertaining!